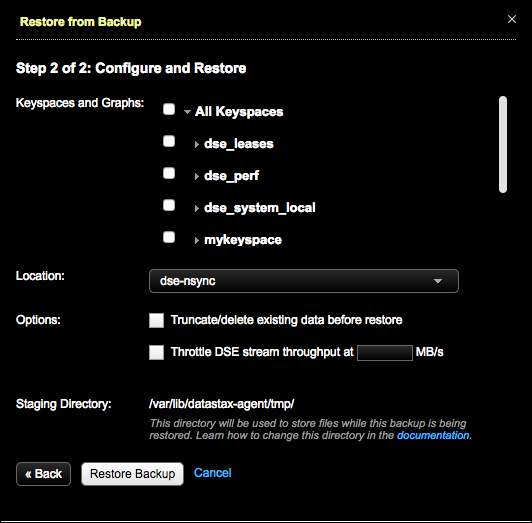 Clone cluster data from one DSE cluster to another using the Restore Backup feature in OpsCenter. The data is cloned from a supported, available location. 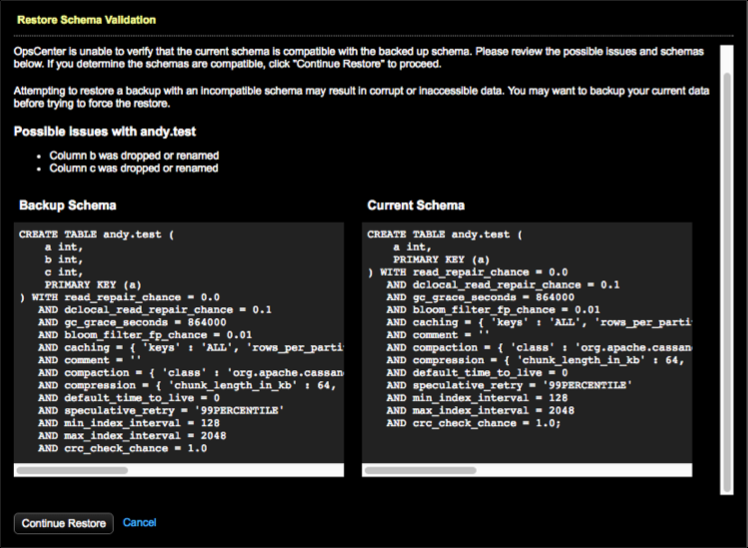 To clone cluster data, a backup of the cluster to a supported location must exist. 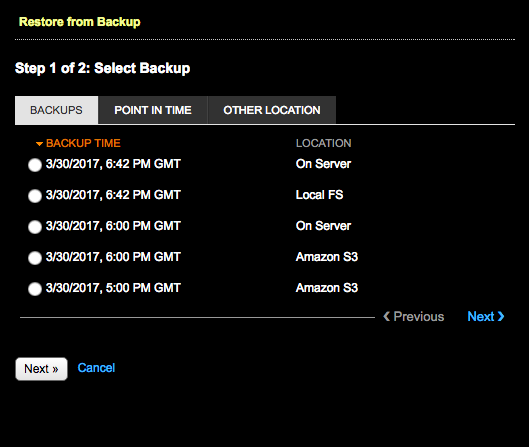 See adding a backup location. 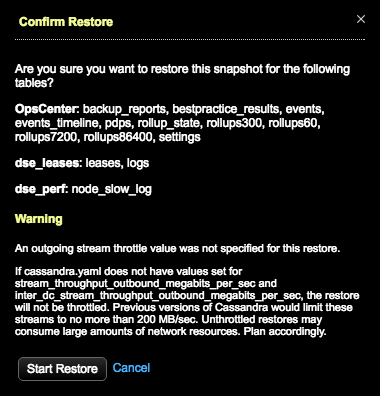 When cloning data, it is not necessary to select the Truncate/delete existing data before restore option because it is a not operational for a cloning workflow. 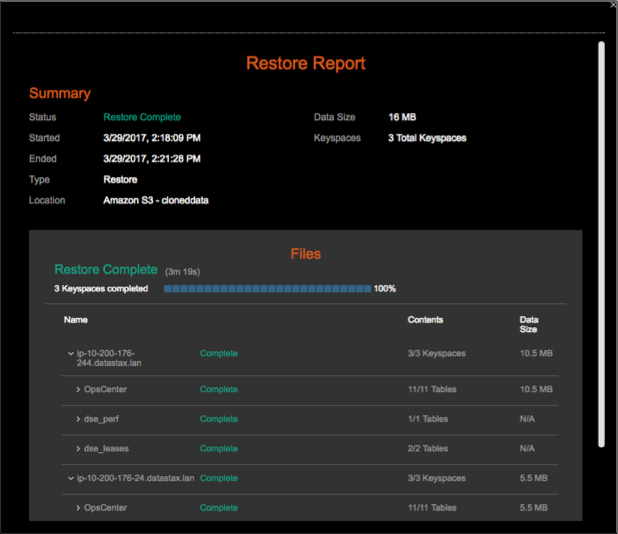 The truncate option purges data on a target before a restore runs. When using the restore feature to clone, the truncate option does not do anything because there is no data to purge before the restore runs.